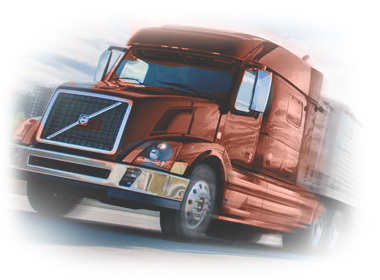 You spend a lot of money on your trucking business, so you want to be sure it’s protected. After all, your truck is your livelihood – that’s why motor carrier insurance designed specifically for for-hire truckers is so important. Choosing the right motor carrier coverage is the best way to protect your investment and your business. Truck insurance from one of Legacy Insurance Group partners will not only protect your business and provide the coverage you need, it offers you some of the best rates in the industry. Many motor carriers use permanently leased independent contractors. If you are one of these for-hire owner-operators, you may receive Primary Liability insurance under your Motor Carrier’s authority. However, you may still need to purchase “Contingent” or Non-Trucking Liability insurance, as well as Physical Damage coverage for your vehicle. There are many for-hire truck insurance options. Read below to learn more about the types of motor carrier insurance coverages you or your contractors may need. Liability insurance is a mandatory motor carrier insurance coverage that pays for damages you cause to other people and their property. Liability insurance coverages for motor carriers includes Bodily Injury insurance and Property Damage coverage. Physical Damage coverage – Can pay for repairs to your truck if it’s damaged in an accident, whether it’s caused by a collision with another vehicle or a falling tree branch and can include Collision insurance, Comprehensive insurance, or Fire and Theft with Combined Additional Coverages. Medical Payments insurance – Available in select states, this first party coverage can pay medical bills for you and any passengers in your truck in case they are hurt in an accident or auto-related injury. Uninsured Motorist insurance – Can pay for injuries and damages to you or your passengers and your vehicle, where available, caused by drivers who either don’t have insurance or don’t have enough insurance to cover your injuries and damages. Motor Truck Cargo insurance – Can pay for damages to cargo you’re hauling. To operate under your own authority, motor carriers must often meet various financial responsibility regulations based on the weight of vehicles operated and commodities hauled. Legacy Insurance Group makes it easy to obtain motor carrier filings for your required levels of financial responsibility. From the Form E to MCS-90 filing, Legacy Insurance can help. Once you obtain your motor carrier authority, we’ll take care of the rest. We’ll even file all of the paperwork for you. Form E: Confirms that your commercial auto insurance meets state guidelines. Form F: Policy endorsement that customizes your coverage to meet financial guidelines in your state. Form H: Declares that you have sufficient cargo liability insurance. Form K: Cancels a previous state insurance filing. Form T: This form proves you have liability insurance for your tow truck. MCS–90 endorsement. An endorsement that must be attached to the auto liability policy of certain regulated motor carriers to ensure that federally mandated coverage (e.g., required liability limits and environmental restitution coverage) is in place. A BMC–91 filing is a document submitted to the Federal Motor Carrier Safety Administration (FMCSA). The BMC–91 filing guarantees the FMCSA that you have enough Liability insurance to cover the increased risk of transporting goods or people across state lines.